As you can see in a photo posted a few hours ago by the insiders, the Samsung Galaxy S10 smartphone looks really disgusting. He does not have separate independent openings in the screen for the camera, which promised everyone. Instead, they use a cutout in the upper right corner, which is a little different from the “mono” in the same iPhone XS Max or Huawei Mate 20 Pro. Moreover, the display in the future novelty is obviously less than 92% of the area on the front, because there are large and large margins on the top and bottom. Through the cutout in the upper right corner, the front of the Samsung Galaxy S10 smartphone, codenamed Beyond 2, looks just disgusting. If by this time the “monobrows” were doing exactly in the center, then in 2019 the South Korean brand would go its own way, and such a guarantee would not be very pleasing to many. It is not excluded, this is just a prototype of the upcoming novelty, but it is clear to me that it is extremely unlikely. 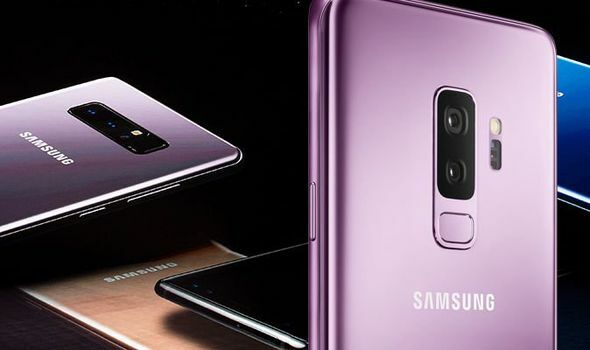 It is known that the Samsung Galaxy S10 will receive in the version for Europe the eight-core processor Exynos 9820, which will be complemented by a 6/8 GB operating system and 256/512 GB of regular flash memory. The basis of the model for China and the US will be the chip Snapdragon 855, which has a modem X50, able to connect to the fifth generation 5G, and the launch of such plans in many regions of the world in 2019.